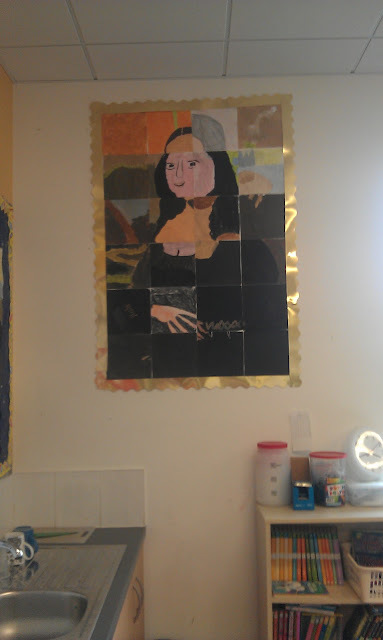 The photograph below gives an idea of the size of it on the wall. I must say, the sheer size of it, makes it look quite impressive. I love how it's made up of a little piece from everybody. It's a great way to do shared art. 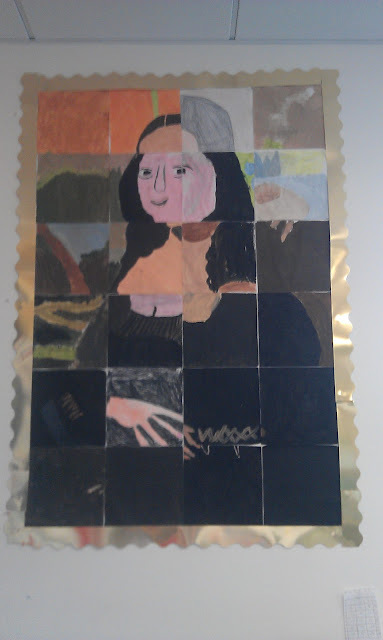 I think I might do a similar lesson next week but where children work in groups of 6 to recreate other great works of art. I love this idea, I'll be trying it out before the end of the year! Class Blog Spotlight: St. Patrick's N.S.